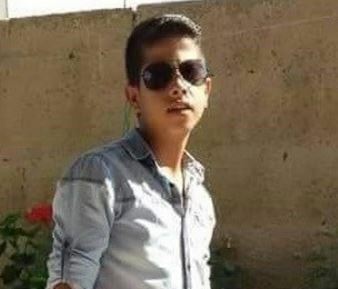 The Palestinian child has been identified as Issa Tarayra, 16; he was killed at a military roadblock installed by the army on the main road leading to Bani Neim. 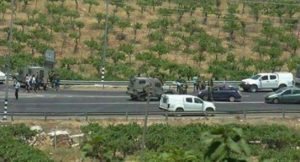 An eyewitness said that Tarayra was on his way to Hebron city, and stepped out of a car he was riding after the soldiers stopped dozens of Palestinian cars, and walked towards the soldiers in an attempt to cross on foot, but one of them opened fire towards him and killed him. The soldiers closed the entire area, declared it a closed military zone, and installed additional roadblocks. In addition, the army prevented Red Crescent medics, who rushed to the scene after the shooting, from approaching the child to provide him with the desperately needed medical aid, and he died of his wounds. On Monday evening, a number of fanatic Israeli colonists hurled firebombs at a home belonging to resident Nidal al-‘Oweiwy, in Hebron city, but the family noticed the attack fast and managed to contain the fire before it spread. Nidal said the assailants came from Abraham Abino Israeli colonialist outpost, that was established on illegally confiscated Palestinian property, right next to his home.